Sandscribe was delighted to see Dr. Steven Thomas return to Addis Ababa. Dr. Thomas, a professor of literature and film at Wagner College in New York, is a member of Sandscribe’s guest faculty. 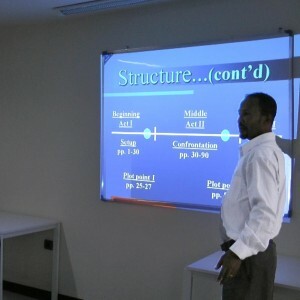 This fall, he received a Fulbright scholarship to teach film analysis and research the Ethiopian film industry. 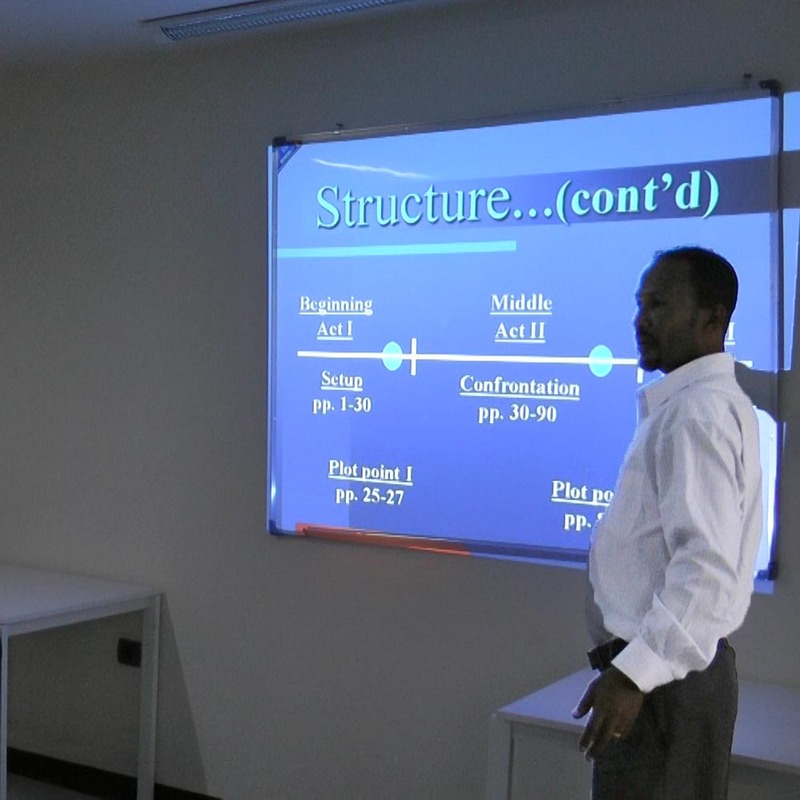 From October to December 2016, Thomas taught a graduate seminar on film theory for Addis Ababa University’s new Master of Arts program. 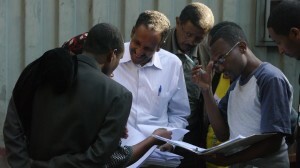 He also worked with several local scholars to research different aspects of Ethiopia’s cinema history. He also presented free courses to the public. Working with Sandscribe, Dr. Thomas partnered with local groups to host two sessions of his nine-week course, America In Movies. One session was organized in partnership with the American Embassy and the Alatinos Young Filmmakers Association, and took place at the American Center in the National Archives & Library. The second session was organized in partnership with Addis Ababa Culture and Tourism Bureau and took place every Saturday at the city government’s Ras Theater. Our Sandscribe students were delighted to attend. America In Movies covered issues of race, class, gender, ethnicity and disability, in several countries besides The United States. Students analyzed the use of montage editing, decentered storytelling, and flipped genre, to address those complex issues. In addition to his busy schedule, Dr. Thomas met with Sandscribe students in small groups to discuss the America in Movies and their own film projects.